Looking for some good sitcoms to watch over the weekend? Here are some good sitcoms we have watched on Netflix. British Sitcom that premiered in 2006 starring Chris O’Dowd, Richard Ayoade, Katherine Parkinson and Matt Berry as humorously dysfunctional office IT team. 5 STARS from SWEETIE and GEEK. Netflix streaming. An American sitcom that aired in 2005 and starred Neil Patrick Harris, Alyson Hannigan, Josh Radnor, Jason Segel, Cobie Smulders, Cristin Milioti. How I Met Your Mother is told as a series of flashbacks about a group of friends navigating relationships in New York. 5 STARS from SWEETIE and GEEK. Netflix streaming. An American sitcom about the geekiest people you ever meet that aired in 2007 and starred Johnny Galecki, Jim Parsons, Kaley Cuoco, Simon Helberg, Kunal Nayyar, Sara Gilbert, Melissa Rauch, Mayim Bialik, and Kevin Sussman. 5 STARS from SWEETIE and GEEK. Netflix DVD. An American sitcom about a rich and eccentric family that has to live as regular people after their conniving father goes to jail. It aired in 2003 and starred Jason Bateman, Portia de Rossi, Will Arnett, Michael Cera, Alia Shawkat, Tony Hale, David Cross, Jeffrey Tambor, Jessica Walter. 5 STARS from SWEETIE and GEEK. Netflix streaming. Veep is another good sitcom you can watch via Netflix DVD. Veep premiered on HBO in 2012 starring Julia Louis-Dreyfus, Anna Chlumsky, Tony Hale, Matt Walsh, and Reid Scott. Julia Louis-Dreyfus stars as a fictional vice president of the USA, whose job is as hilarious as it is mostly pointless. Unbreakable Kimmy Schmidt is an original Netflix sitcom you can watch via Netflix streaming. The main character is Kimmy Schmidt. She grew up and spent 15 years in an underground bunker. She had been kidnapped by a cult member when she was 14. Kimmy Schmidt has been rescued from the banker when she was 29. She decided to stay in New York and explore the life of the big city. There are many obstacles in New York for someone who has spent 15 years in an underground bunker. Kimmy Schmidt always gets into funny situations while exploring her new life. Unbreakable Kimmy Schmidt is written and produced by Tina Fey. 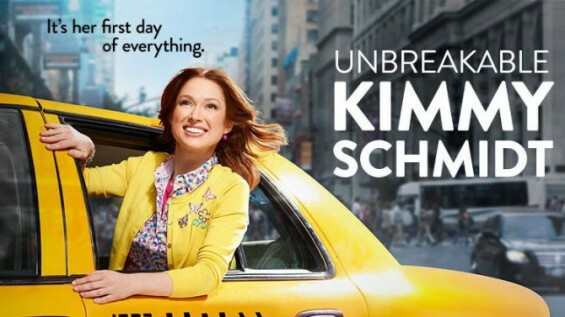 So, if you like 30 Rock, you will like the Unbreakable Kimmy Schmidt sitcom as well. You will also see some of your favorite sitcom actors such as Jane Krakowski and Tina Fey in this new Netflix original series. 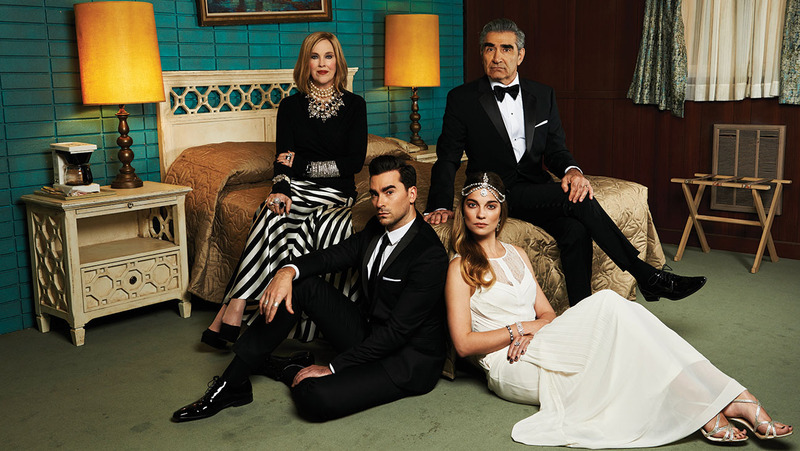 Schitt’s Creek is an awesome Canadian sitcom on Netflix. Don’t miss it, it is very cute and funny. You can watch it via Netflix streaming. A spoiled, former rich family have to live in Schitt’s Creek (the name of the town speaks for itself).They now live out of a dirty motel room and deal with real-world characters and situations, all of which are gross and beneath them. Every member of the Rose family is a joy to watch. They are completely out of touch with reality and with the world around them, but somehow they are lovable. This show will make you laugh a lot. Love is Netflix original sitcom. It is interesting. While I cannot say I am a big fan of any of the characters in the Love sitcom, the show keeps me interested by the strength of its plot alone. I have read a number of other reviews and it seems that there is a general consensus that the show is great for completely unfathomable reasons. The show’s rotten tomatoes score remains strong despite critics not being able to point out things they love about it. It might be like a Woody Allen movie in that you cannot point to anything and say “I love that”, but you come out of the experience having enjoyed yourself. I am looking forward to seeing season 3. 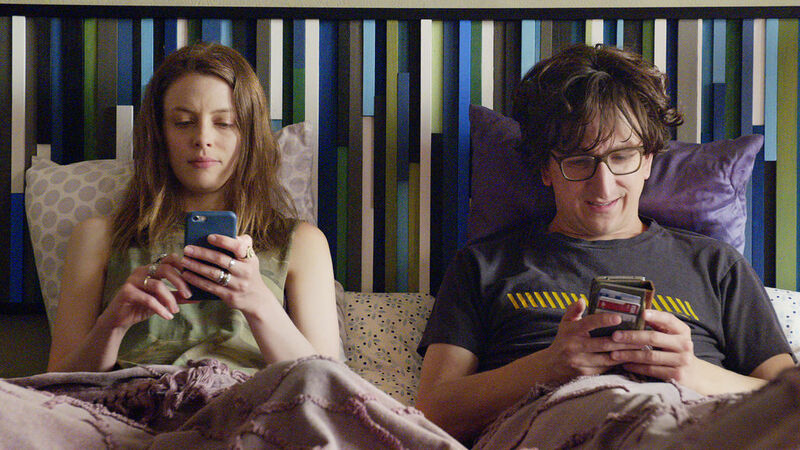 These plot itself is a dysfunctional love story of Mickey and Gus played by Gillian Jacobs and Paul Rust. The thing about this story is that there are no characters you like. Mickey gains your sympathies towards the beginning of the season 1. But, by the end, heads in the direction of being the monstrous one. Gus (Paul Rust) does plenty of his own teetering, but even though he is a jerk in his own way, by the end of the season he is outclassed in monstrousness by Mickey that it’s hard not to feel bad for him. Grace and Frankie is another super-fun American sitcom on Netflix. I had heard many good reviews of this sitcom, but always postponed watching it because I thought it looked like something targeting an older audience. I was wrong. This sitcom’s writers are uniquely adept at producing scripts that are very funny regardless of your age. The sitcom series itself follows Grace, a retired cosmetics mogul, and Frankie, a hippie art teacher, whose husbands, Robert and Sol, are successful divorce lawyers in San Diego. 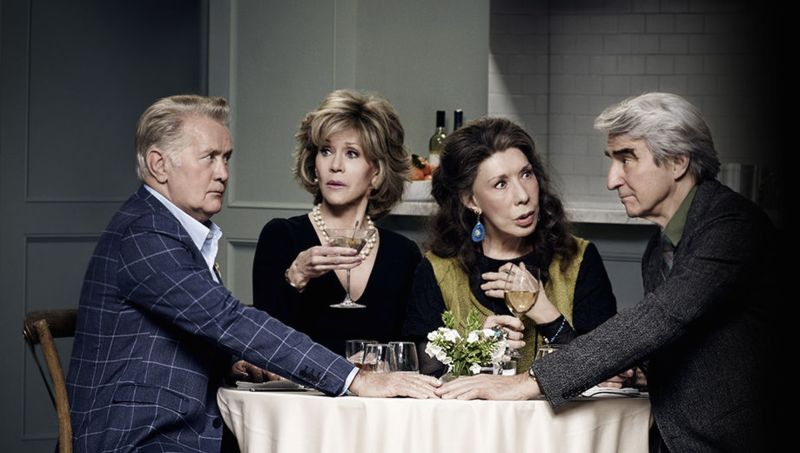 Grace and Frankie’s lives are turned upside down when Robert and Sol announce that they are in love with each other and are leaving their wives. Now, the women, who have never particularly liked each other, are forced to live together and learn to unite and cope with their shared, but unusual difficulties. Jane Fonda stars as Grace Hanson and Lily Tomlin is as Frankie. They show why they are both well known and respected actors in almost every scene. This looks amazing.. I’m gonna watch it on Netflix.. I am so glad I came across your blog! I have wanting to get into a new show. I think I might watch how I met your mother, I’ve watched a few episodes and it has been quite funny. Great list! I love Netflix. It’s all my family watches. I love Netflix, but I usually spend as much time picking out what I want to watch as I do actually watching it. Thanks for putting this list together! That was the reason for me start putting this movie lists. I used to spend the whole evening to find the show or movie on netflix I would enjoy watching.